You want to do what with my device? 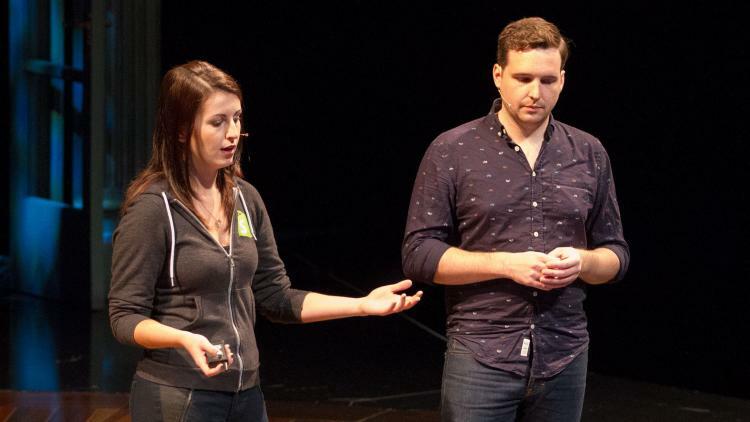 Diana Birsan and Steven Scott were tasked with the challenge of deploying Casper Suite to 1,000 Shopify employees who were used to having free reign over their devices. Despite the unpopular response to their request, they knew security was a top company priority. Marrying the need for corporate security while preserving the coveted company culture was a difficult play, but Birsan and Scott were up for the challenge. Birsan, an IT lead at Shopify in Toronto is an expert with Casper Suite. She understands the ins and outs of how it works and knew managing devices in an open culture was possible. Her colleague, Scott, a security development operations engineer at Shopify in Ottawa, was also confident they could find a solution and bridge the gap between security and device freedom. Birsan and Scott knew the right tech, plus a cultural fit, would equal success. Their software solution – Casper Suite. Having previously worked with Casper, they knew they would be able to manage and secure their users’ devices while maintaining trust. Just make them do it. Ignore their lack of adoption. Trick them into installing it. Their culture was built on support and transparency, and they knew none of these methods would work. Additionally, there were technical solutions that didn’t fit the bill. Giving all access to a Jamf admin would create huge privacy concerns for the employees. The Self Service log didn’t answer the substantial questions, like content of scripts, policies and more. And hosting scripts on GitHub wouldn’t allow employees to know if what was listed was in fact running. Taking everything into consideration, Birsan and Scott listened to the users and ultimately used Casper Suite to build tools that addressed their concerns without impacting their privacy. Ultimately, due to Shopify’s transparency, the adoption and strategic implementation of Casper Suite at Shopify reached 100%. So when it comes to managing devices in an open culture, Birsan and Scott are excited to say – it’s possible. As a bonus, if done correctly, it will help build internal trust, as long as the solution fits company culture.